I will always be a GIS geek. There is nothing like Jack getting up and talking about the “notion” of this or that at an ESRI UC plenary. I like just saying “UC plenary” because it conjures up great San Diego weather, the press of ~15,000 like-minded GIS folks and the passion behind nearly 40 years of innovation with ESRI software. Recently I attended the Houston Energy Forum presented by Tibco, which focused on Tibco Spotfire and Tibco OpenSpirit technology suites. To be honest I haven’t felt so jazzed about technology in a while. The atmosphere brought back great memories from when folks were overly enthusiastic about ESRI conversations around the “The List” (an informal, but treasured document noting user issues and requests). Passionate users would wave their hands in the air to make sure their gripe about 7th level wizard label shadows not turning upside down correctly was captured and set to be worked on by the ESRI team. We got some of that hands-on user enthusiasm at The Energy Forum… and that is a good thing. It’s a direct sign that the software is alive, dynamic and driving passion from its users. 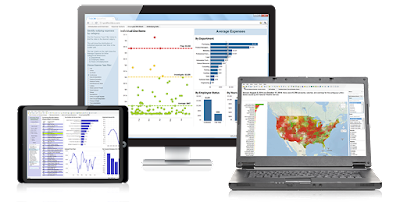 Tibco users are engaged and that engagement will help to make Spotfire even better over time. What the hype is about? While I am no “Data Scientist”, it’s clear what the hype is all about. Like GIS, Spotfire allows users to see patterns that they would not readily see in a spreadsheet (without substantial pivoting of tables, hoop jumping and artistry). Spotfire provides a visual analysis as well as the ability to easily drill into and interrogate the data of interest. And, of course, the beauty lies within the capability that Spotfire combines the two. Together, Spotfire and GIS are even more powerful, providing deep insights into oil and gas data. So, while I think Spotfire is the new GIS, GIS is also still the new GIS. LOGIC Solutions Group has the skill and experience to help your team implement Tibco solutions. We will work with your line of business users and your GIS team to identify quick wins and strategic initiatives to accelerate the process. Please contact us today to discuss how we can help.